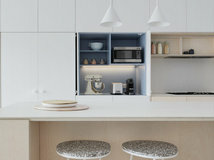 Gloss or Matt Kitchen Cabinets? 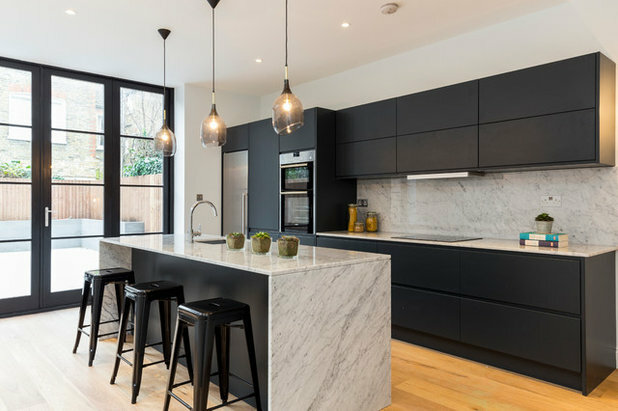 If you’re after a sophisticated and stylish look in your kitchen, dark units could be the way to go – and they don’t come darker than black. 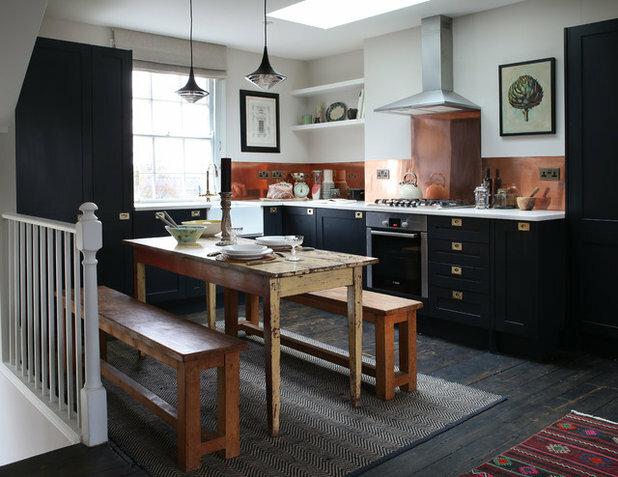 If you’re wondering how black accents might look in your own kitchen, browse these rooms for inspiration. 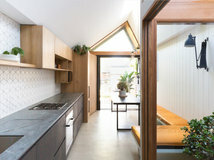 This kitchen is located in a semi-enclosed part of a broken-plan space, so an all-black kitchen could have been a little too dark. 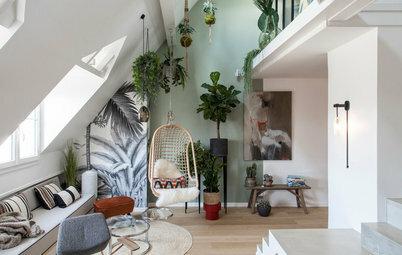 However, the space looks both dramatic and fresh. 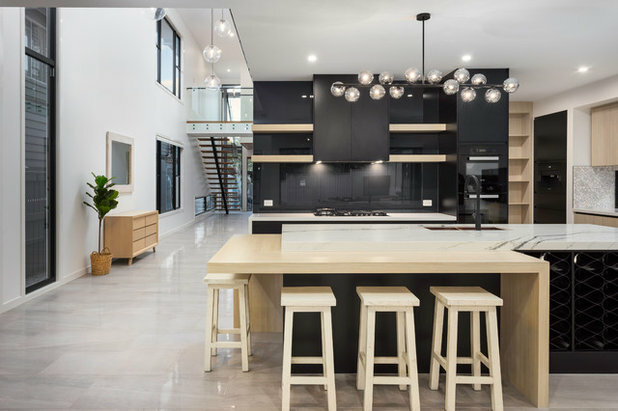 The key to achieving this was the choice of white benchtops and pendant lights that help lift the dark black of the cabinetry. If you don’t want to use black throughout your kitchen, try introducing it in smaller doses. 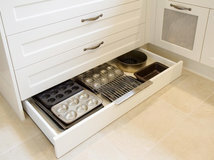 Pick a piece of cabinetry and use a dark shade to turn it into a feature. 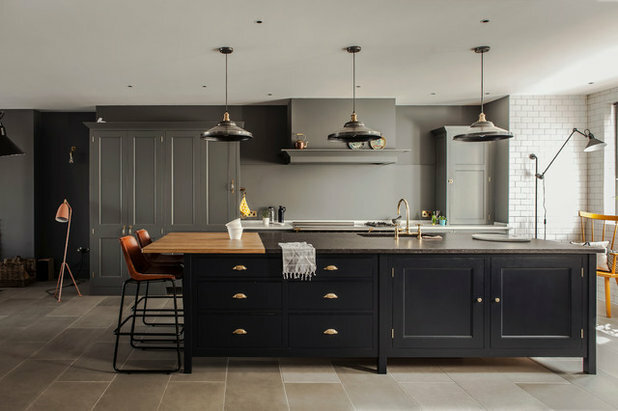 A kitchen island is an obvious choice – this one is painted charcoal and adds a deeper tone to the grey walls and cupboards. 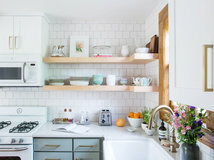 If you don’t have an island unit, you could make a feature of a tall cupboard or try painting only the base or wall cabinets black. 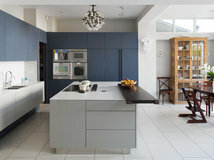 Make the most of black’s ability to show off vivid hues by teaming dark cabinetry with a bold shade. 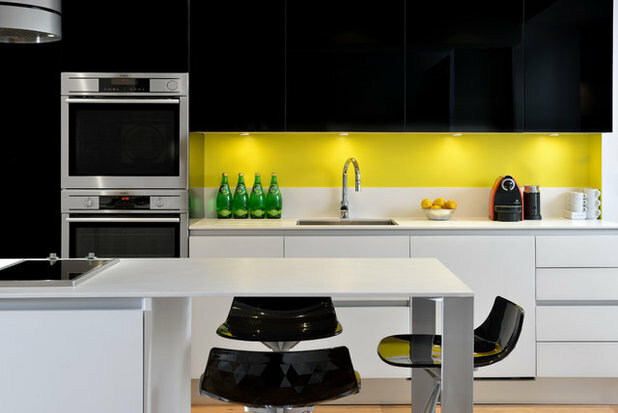 Here, the jet-black wall units sit above a bright yellow spalshback. 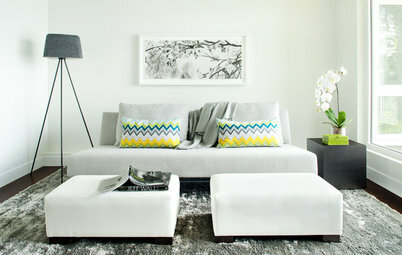 The two colours form a striking contrast and the lighting helps emphasise the yellow even further. 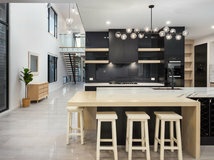 To ensure the kitchen feels bright, the designers have chosen white base cabinets and benchtops, balancing the overall look with black bar stools. 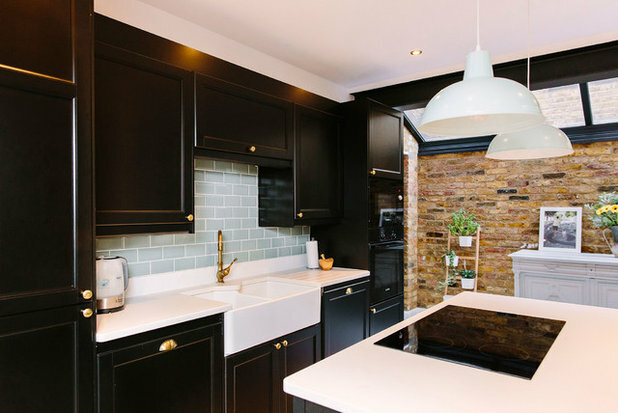 These black cabinets are the perfect choice to team with the copper splashback. 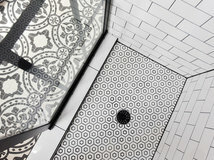 Even the floor has been stained dark to ensure the rich metal takes centre stage. 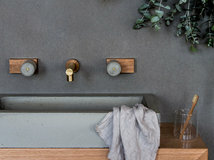 The designers have gone for a matt finish on the units, which forms an even stronger contrast with the copper, and the warm tones in the timber furniture add balance. 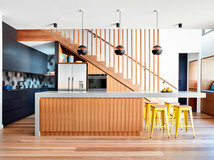 If you’re concerned that an all-black kitchen could look too heavy, cosy things up with wood. 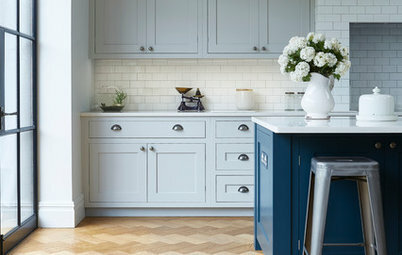 A mix of cabinetry is an interesting choice, and it looks stunning in this kitchen. 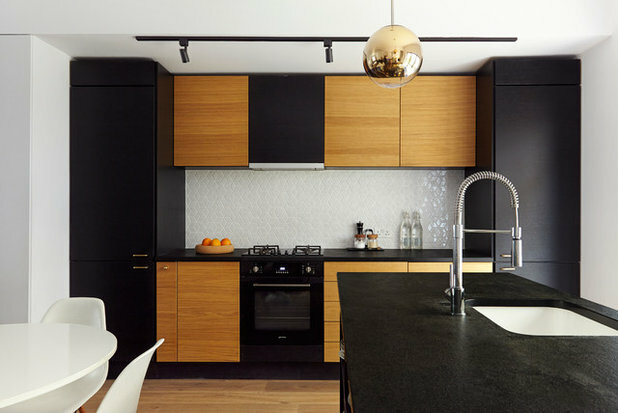 Matt-black surfaces contrast with the honey tones of the timber veneer to create a kitchen that feels sophisticated and warm. 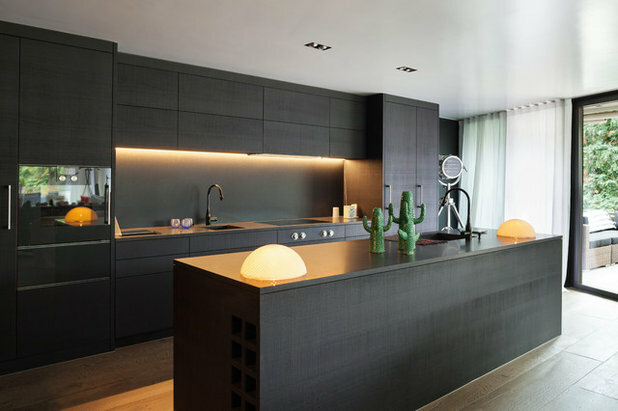 Here, flat-fronted black cabinets create a modern kitchen that feels sleek and streamlined. 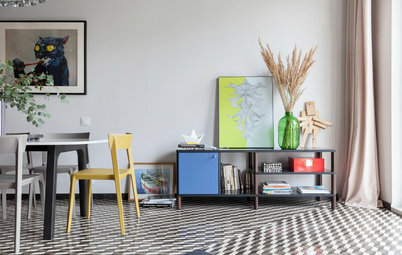 To add texture to the deep-toned surfaces, the designers have teamed the units with a beautifully patterned marble. 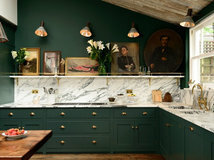 The glossy finish and stunning veining provide a luxurious contrast to the matt-black surfaces of the cabinetry. 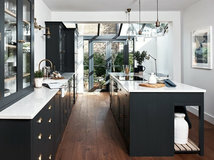 Fancy another way to lift a matt-black kitchen? 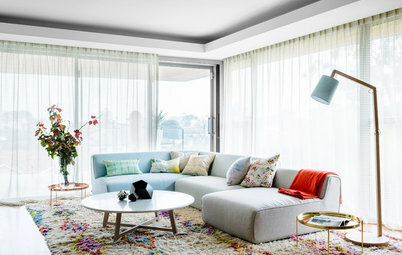 Try some strategic illumination, as the designers have done here. 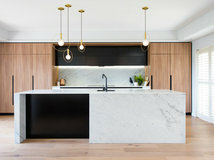 The LED strip beneath the wall-hung units highlights the soft texture of the cabinets and prevents this all-black kitchen from looking gloomy. 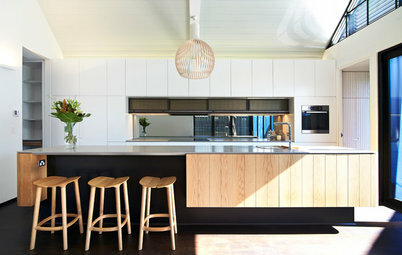 The black benchtop has a glossier finish that’s emphasised by the unusual globe lighting on its surface. 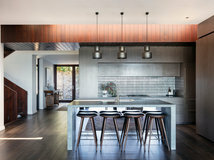 If lights like these are too out-there for you, opt for pendant lights above the island to cast a glow on the benchtop. 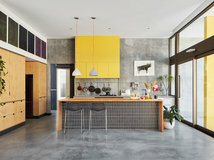 Have you made black accents work in your kitchen? Share your tips and ideas in the Comments below, like and share this story, save the images and join the conversation. Despite the attractive pictures there isn't one kitchen there I could live with. I really hate black - I find it depressing as well as dark. I love black with a bit of timber. 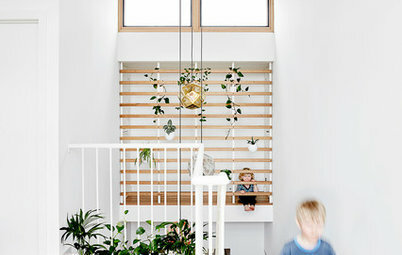 Open timber shelving is smart, and another interesting way of using black is the exposed timber edging on heavy ply cabinetry stained black! 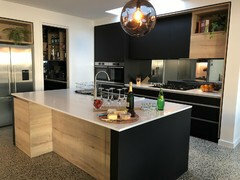 I have a Matt black (anti fingerprint) and textured oak kitchen with crisp white bench tops. 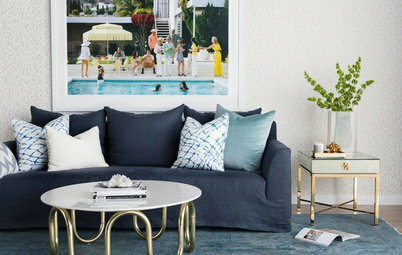 It is a dream to clean. The new anti fingerprint technology is amazing!